Family time can’t get any better than going kite flying. Pack a lunch, put on some sunscreen, find a park and wait for the wind! 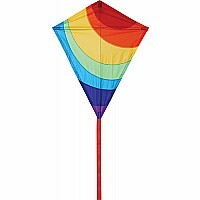 This kite is made of strong, durable nylon, 300' 20 lb line included. For ages 5-10 yrs.